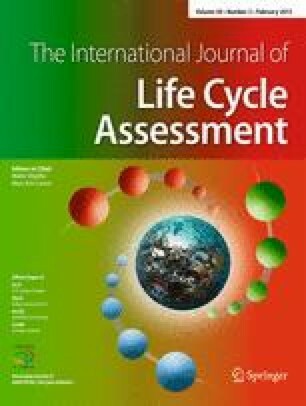 USEtox is a scientific consensus model for assessing human toxicological and ecotoxicological impacts that is widely used in life cycle assessment (LCA) and other comparative assessments. However, how user requirements are met has never been investigated. To guide future model developments, we analyzed user expectations and experiences and compared them with the developers’ visions. We applied qualitative and quantitative data collection methods including an online questionnaire, semi-structured user and developer interviews, and review of scientific literature. Questionnaire and interview results were analyzed in an actor-network perspective in order to understand user needs and to compare these with the developers’ visions. Requirement engineering methods, more specifically function tree, system context, and activity diagrams, were iteratively applied and structured to develop specific user requirements-driven recommendations for setting priorities in future USEtox development and for discussing general implications for developing scientific models. The vision behind USEtox was to harmonize available data and models for assessing toxicological impacts in LCA and to provide global guidance for practitioners. Model developers show different perceptions of some underlying aspects including model transparency and expected user expertise. Users from various sectors and geographic regions apply USEtox mostly in research and for consulting. Questionnaire and interview results uncover various user requests regarding USEtox usability. Results were systematically analyzed to translate user requests into recommendations to improve USEtox from a user perspective and were afterwards applied in the further USEtox development process. We demonstrate that understanding interactions between USEtox and its users helps guiding model development and dissemination. USEtox-specific recommendations are to (1) respect the application context for different user types, (2) provide detailed guidance for interpreting model and factors, (3) facilitate consistent integration into LCA software and methods, (4) improve update/testing procedures, (5) strengthen communication between developers and users, and (6) extend model scope. By generalizing our recommendations to guide scientific model development in a broader context, we emphasize to acknowledge different levels of user expertise to integrate sound revision and update procedures and to facilitate modularity, data import/export, and incorporation into relevant software and databases during model design and development. Our fully documented approach can inspire performing similar surveys on other LCA-related tools to consistently analyze user requirements and provide improvement recommendations based on scientific user analysis methods. This work was financially supported by the Marie Curie projects TOX-TRAIN (grant agreement no. 285286) and QUAN-TOX (grant agreement no. 631910) both funded by the European Commission under the Seventh Framework Programme. The authors would like to thank all persons participating in the online survey and interviews for their feedback and the USEtox development team for providing website user statistics, which were treated confidentially.